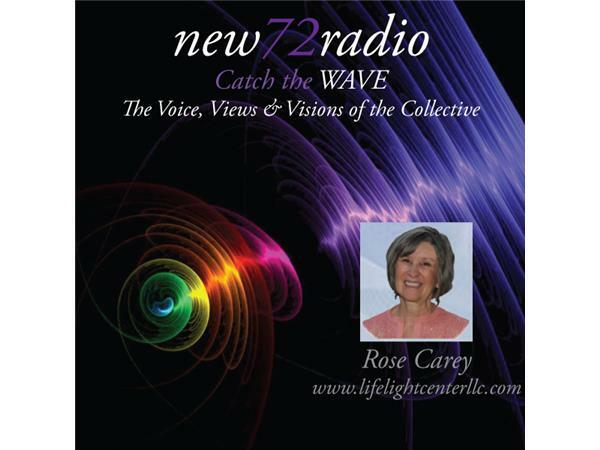 Listen as Kelli Lair with new72media speaks with Rose Carey, owner of LifeLight Center, about her upcoming workshop in Portland, OR May 16th & 17th at Somaspace, 4050 NE Broadway Street, Portland, OR. Rose is an experienced holistic therapist offering unique and diverse modalities for wellness recovery that compliment allopathic care. She teaches from her experience of 25 years in private practice and study. She is a kinesthetic energy healer who feels the energy fields around and within your body. Most of us are kinesthetic perceivers and can learn these techniques. Based in indigenous wisdom teachings, this two-day workshop allows for experiential exercises and hands-on practice. The class “Energy Medicine Handbook” focuses on how chakra dysfunction leads to physical and emotional dysfunction, chakra anatomy and attributes, dynamics of the auric system. Skills to be learned will be kinesiology and the intuitive process, essentials of ‘source’ consciousness in a working relationship, communicating with chakras and hands-on chakra repair.